Unbelievably horrifying, inhumane and right in our own towns across the United States. There are more slaves alive now than ever before in human history. Healthcare professionals are in a uniquely qualified position to identify and help a victim of human trafficking. People who are trafficked will encounter either a law enforcement officer or you – a healthcare professional. But, do you know enough about human trafficking to help? 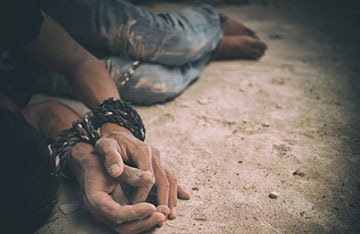 We provide a CE Bundle that will prepare you to identify signs and symptoms of trafficking, learn about the different forms of trafficking, understand physical and psychological outcomes of trafficking and be prepared to help.